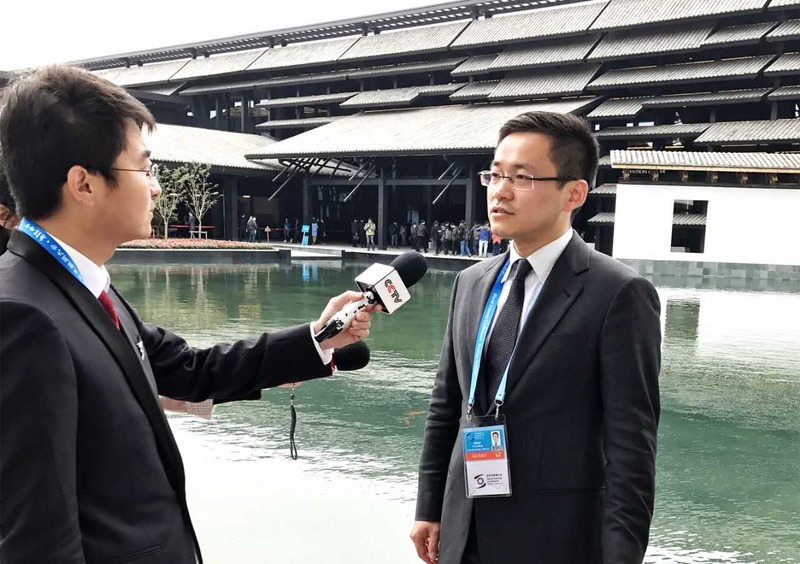 From November 16th to November 18th, 2016, the ancient waterside Wuzhen once again attracted attention from the whole world since the remarkable 3rd World Internet Conference there. As a conference of the greatest scale and highest level, the service there also won universal appraise. The service team made up by black-tech became a highlight. This year, Abilix, as the exclusive designated robots to attend the conference, took part in the service, which drew wide attention. Mr. Fei Xufeng, CEO of Shanghai PartnerX Robotics Co, Ltd. to which Abilix subordinates, at the scene of the 3rd World Internet Conference. 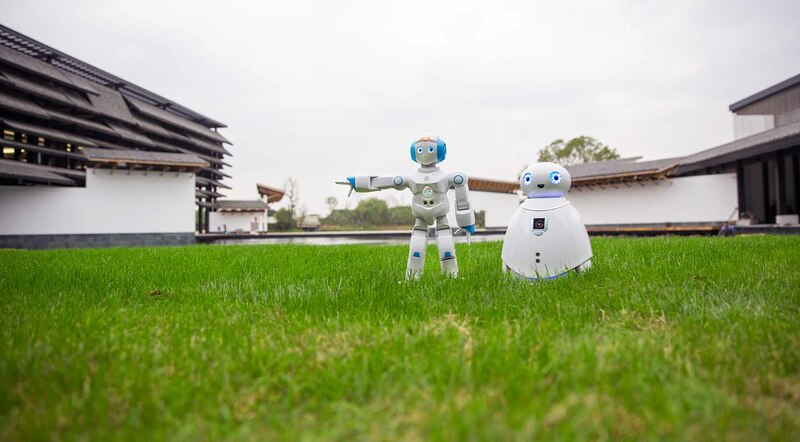 Appeared near registration spot of Wuzhen East Gate ,Abilix educational robot mobile series Oculus was reporting notice, weather forecast and notes for those distinguished guests and meanwhile interacting with them.At the gate of the hall, humanoid robot Everest were dancing at the scene. They are so cool and flexible that their dancing was uniform and rhythmic. All guests were attracted. In the cafe, the cute Oculus are helping with the ordering. 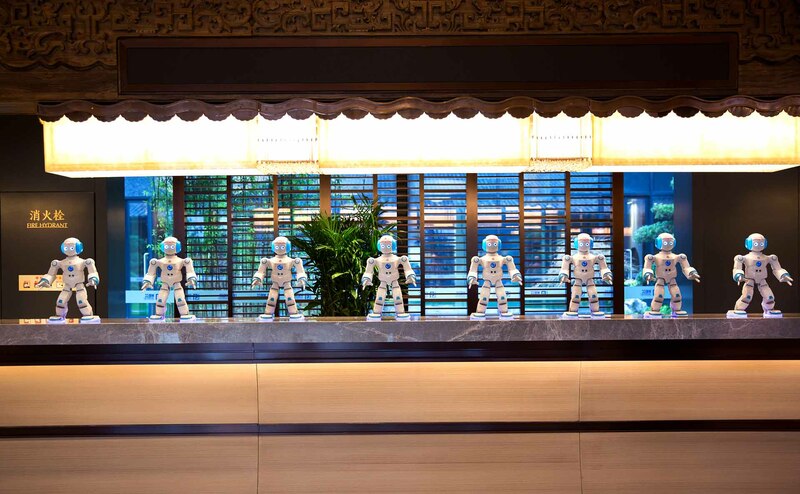 In the evening, Abilix robots serve as tourist guides for those guests. They were everywhere, ready to help. With its black-tech, Abilix eventually blossomedIn recent years, the domestic robotic industry is flourishing. A batch of enterprises in artificial intelligence and robotics are springing up. Some of them even become global leader in some specific fields. Then what makes Ablix prominent enough to exceed other extraordinary enterprises and finally elected to serve in World Internet Conference? According to Mr. Fei Xufeng, many extraordinary robotic brands including Abilix had been focused by the committee beforehand. It was the series robots released in September cater to household users that made Abilix be chosen. It depended on the black-tech possessed by the robots. Mr. Fei Xufeng said, since its establishment, within 20 years, Abilix had obtained more than 250 patents. Abilix is a brand of comprehensive technology. The four released series has combined the 20-year technology and latest black-tech, both steady and advanced. That was why Abilix finally appeared in World Internet Conference and was welcomed. Star Servant, Ace of Educational Robot The result of searching was amazing. 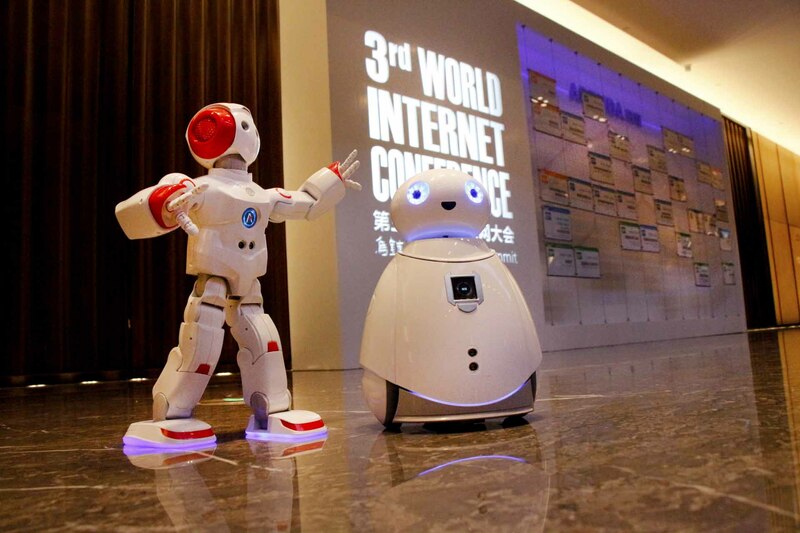 The popular and versatile servant active in World Internet Conference was educational robot! As is introduced by Fei Xufeng, both Everest and Oculus were taking up different services and tasks at the conference. It is feasible for kids to program and command those robots. That’s the value of Abilix. The cores of educational robot lie in product technology and educational connotations. A better technology will lead to better educational. Both of the cores will put the educational value into full play. 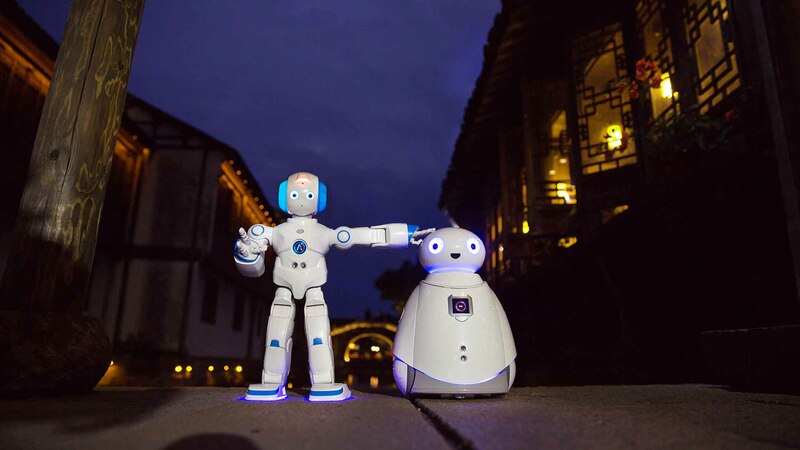 It is known that as developer and leader of educational robots in the world, Abilix has invented and developed more than 120 kinds of educational robots and compiled more than 50 sets of curriculum (in 9 language versions) batch exported to over 30 countries. They are the minority hi-tech products exported overseas. At present, more than 21,500 primary and secondary schools, over 1000 universities, over 1,200 labs and more than 200 Abilix homes from more than 31 countries and regions are teaching, competing and hosting science and technology activities via the platform of Abilix. Meanwhile, the product sale and service network, online shops and offline stores cater to household users have been established globally. This is not the first time that educational robots have contact with the internet. The past and future of educational robots cannot move on without the internet. According to Mr. Fei, the internet, intelligent cellphones and ipad had given great help to the development of educational robotic products. Depending on the internet, kids are enabled to share and communicate their programming and building achievements with their partners; with the internet and database, families can be recommended more suitable robots; the existing educational robot contest have to take place at the same site. However, in the future, with the internet technology, we may be able to go on teamwork via the internet and compete with other teams. If the past 20 years was PC internet and mobile internet technology that promoted development and revolution of all industries. In the future, it will be artificial intelligence that takes up the responsibility. A brand new internet artificial intelligence era is in the air. Artificial intelligence technology, using robots as media, will influence our life more profoundly. Fei Xufeng said, the internet is platform of artificial intelligence evolution. 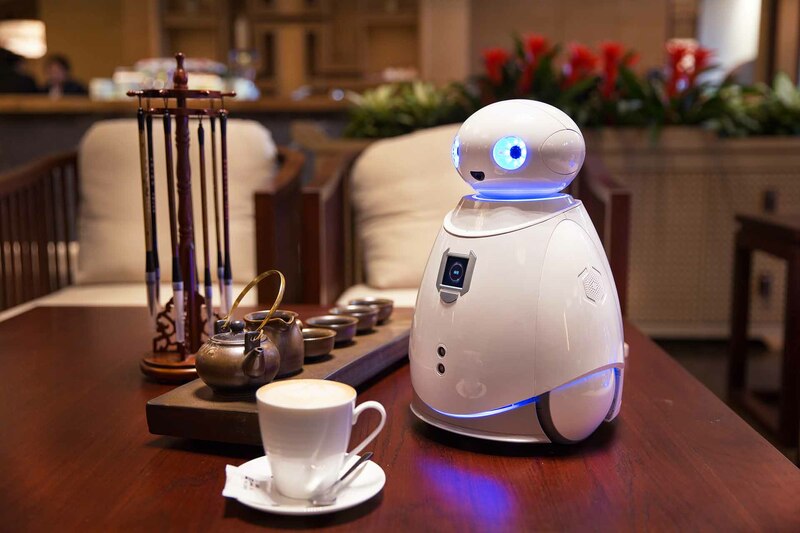 Abilix would make the best use of the internet technology to provide users with educational robotic products possessing more experiencing and education values.